Stop what you are doing and take a second to stare at these things of beauty. Now could you believe that these are sugar and dairy free!? Mind blown! 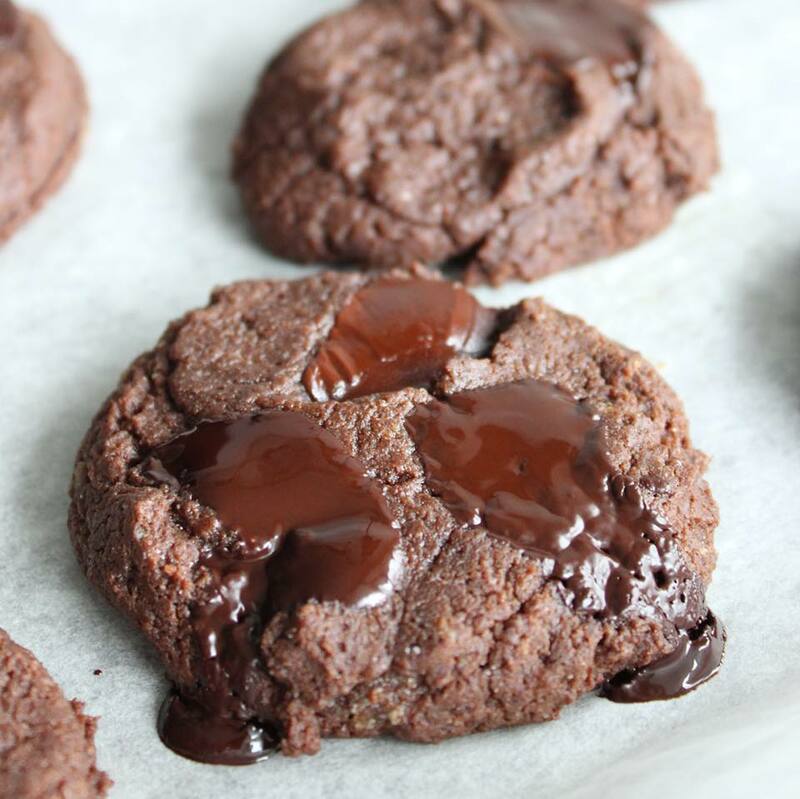 Give these fudgy cookies a try if you are wanting a healthier sweet treat from Lau's Healthly Life. 1 tsp psyllium husk powder * optional- it just added an extra dose of fibre- you could try subbing this with ground chia or flax or just leave it out! 1/4 cup club soda (carbonated water)- I swear this made them more fluffy😅 but subbing with nut milk of choice should work if you don’t have this! A few squares of your favourite dark chocolate- I used @giddyyoyo Vanilla & @lindtcanada 90% dark! Mix all the dry ingredients in a bowl & then add the rest! Once you have a dough start to form let it sit for a few minutes & line a baking tray with parchment paper. I used a tablespoon to scoop the dough onto the tray & then slightly pressed them down, & topped with more dark choc chunks. Place in the oven & bake for 6-8 minutes. I baked mine for exactly 7 & they were perfect! You guys are gonna LOVE these! BUT... the key is to take these out before they look fully cooked! They cook a bit on the pan after & the first batch I overcooked & they did not have the same fudginess as the 2nd batch when I cooked them for 7 minutes exactly! Just keep an eye on them b/c every oven can be different but they will look slightly undercooked & feel really soft at first but end up just turning out so fudgey & hold together well after they cool for a bit!